This has a slightly restrained nose at first but it opens up to reveal sumptuous aromas of wild berry fruit, graphite, cassis and plum. A fabulous multi-dimensional texture on the palate fills the mouth and crisp acidity brings perfect balance; great intensity of flavour, exceptional length, and a staggering quality to the abundant tannins; really fine. It is hard to find fault in truth, and worrying to think that we usually find Lafite grows in complexity over the next couple of months, so it will become even better! The Wine Advocate - The 2010 Lafite Rothschild, a blend of 87% Cabernet Sauvignon and 13% Merlot (a 3% difference from the barrel sample shown two years ago), achieved relatively high alcohol of 13.32%, according to administrator Charles Chevalier. The wine is very impressive, not as fleshy, flamboyant and massive as the 2009, but nevertheless, a big, rich, full-throttle Lafite-Rothschild meant to age a half century or more. Deep purple, with notes of white chocolate, mocha, cedar and charcoal as well as hints of vanillin and creme de cassis, the wine is full-bodied yet has that ethereal lightness that makes it a Lafite. Rich, with good acidity, precision and freshness, this is a slightly zestier version of the 2009 as well as more restrained and structured than that particular vintage. It will need at least 10-12 years of cellaring and keep for 50+ years. Jancis - 87% Cabernet Sauvignon, 13% Merlot. Now, will this be the only time I ever get to see this wine, before it all migrates east? Very intense dark blackish crimson. Lovely Lafite scent – recognisable member of the family with a hint of oyster shells. But some extra breadth, even fat, this year. Hugely ambitious. Dense and quite dry on the end. But with Lafite breed and race. Somehow manages to have real roundness, covering the notable acidity and doubtless tannins which are very difficult to discern. Already a marvel and a pleasure to taste. Lovely, lovely balance. Wine Spectator - The 2010 Ch. Lafite is all guile and elegance now, with sleek, perfumy black tea, currant and crushed fig fruit, laced with subtle smoke, incense and tar. Just as you think it starts to fade, the acidity kicks in on the finish and brings everything back for an encore. 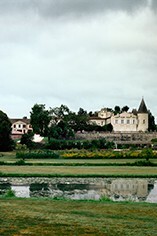 Parker - The 2010 Lafite Rothschild, a blend of 87% Cabernet Sauvignon and 13% Merlot (a 3% difference from the barrel sample shown two years ago), achieved relatively high alcohol of 13.32%, according to administrator Charles Chevalier. The wine is very impressive, not as fleshy, flamboyant and massive as the 2009, but nevertheless, a big, rich, full-throttle Lafite-Rothschild meant to age a half century or more. Deep purple, with notes of white chocolate, mocha, cedar and charcoal as well as hints of vanillin and creme de cassis, the wine is full-bodied yet has that ethereal lightness that makes it a Lafite. Rich, with good acidity, precision and freshness, this is a slightly zestier version of the 2009 as well as more restrained and structured than that particular vintage. It will need at least 10-12 years of cellaring and keep for 50+ years. 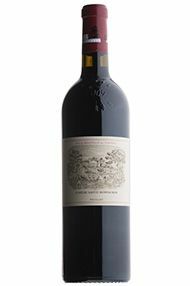 Decanter - Chateau Lafite Rothschild has a fabulous nose of wild violets, wonderful lissom texture backed by aristocratic firmness, a totally captivating wine for the long term.